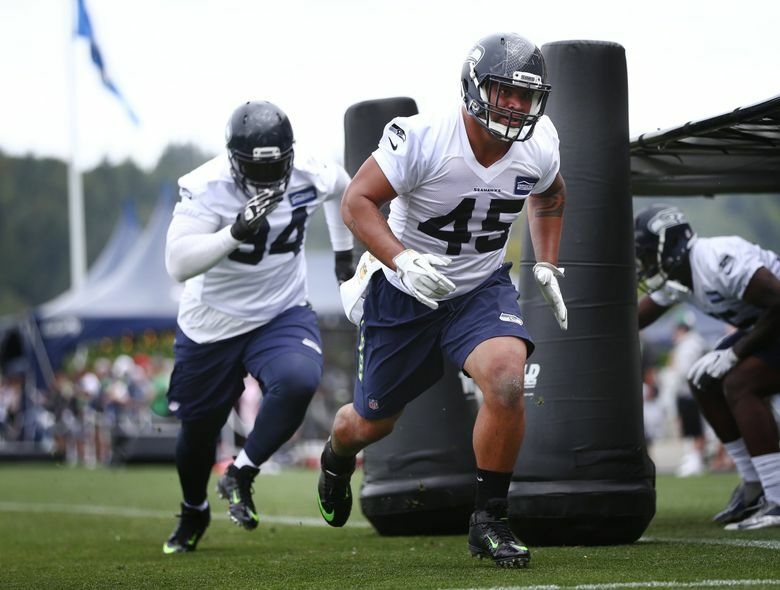 A league source says the Seahawks have signed former Washington Husky Tani Tupou as a fullback. The Seahawks have signed former University of Washington and Archbishop Murphy player Tani Tupou to their 53-man active roster to fill an opening created earlier in the day when safety L.J. McCray failed his physical, according to a league source. Tupou will play fullback, a spot where the team had an opening after releasing/waiving both Tupou and veteran Will Tukuafu in the cutdown to 53 on Saturday. The 6-1, 284-pound Tupou played defensive tackle at Washington but played both fullback and defensive tackle with the Seahawks, with home he signed as an undrafted free agent in May. He played much of the preseason with a broken bone in his hand but that has gotten better of late. Tupou did not have any offensive statistics in the preseason but did have two tackles and a sack and a fumble recovery on defense. The addition of Tupou puts Seattle’s roster back at 53. It also means the Seahawks again have five running backs on their roster and an even split of 25 offensive players, 25 defensive players and three specialists. Tupou would also be the 15th rookie on Seattle’s roster, seven of whom were undrafted free agents. Carroll, though, intriguingly seemed to imply that Tukuafu could return down the road — if he had been on the roster this week his entire salary of $760,000 for the season would have been guaranteed. He could come back next week and his salary would not be guaranteed.